The Real Mary King’s Close has launched its very own tartan to mark its tenth anniversary since the attraction first opened its doors as what is now one of Edinburgh’s top visitor attractions. Made up of rich reds, bright white and shades of black and grey, the tartan which was created by Scottish textile experts Kinloch Anderson, represents the interwoven stories of those people who lived, worked and died in the warren of covered over streets that make up The Real Mary King’s Close. From 31 May, the tartan was incorporated into staff uniforms and is available to buy in the gift shop as well as directly from Kinloch Anderson. The new tartan forms part of major investments that have also seen new state of the art interactive element added to the tour, where visitors can now meet Mary King. 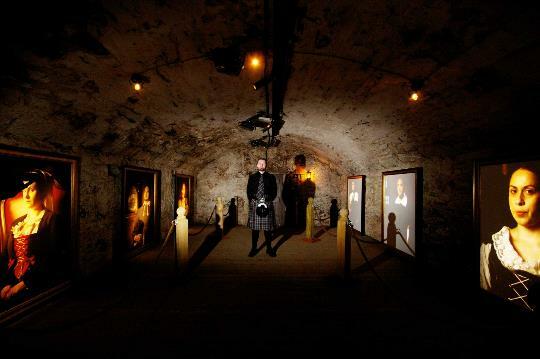 The tartan forms part of The Real Mary King’s Close ten year anniversary celebrations where visitors during 2013 will be able to enjoy a programme of special events at the attraction including The Dark Truth Tour as part of this year’s Edinburgh Festival Fringe and Close Fest which launches on Halloween and promises to show off the attraction as never before.